I tend to hit a cooking slump during this time of the summer. It has been terribly hot the past few days and I glance over to look at the stove like it’s going to bite me if I turn it on. 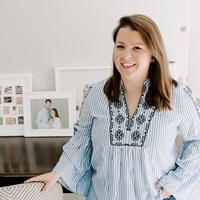 Instead of phoning it in though (literally, I considered phoning in a pizza), I’ve been trying to take this heat wave as a cooking challenge — can I create tasty treats that also keep me cool? That’s where this idea came in! 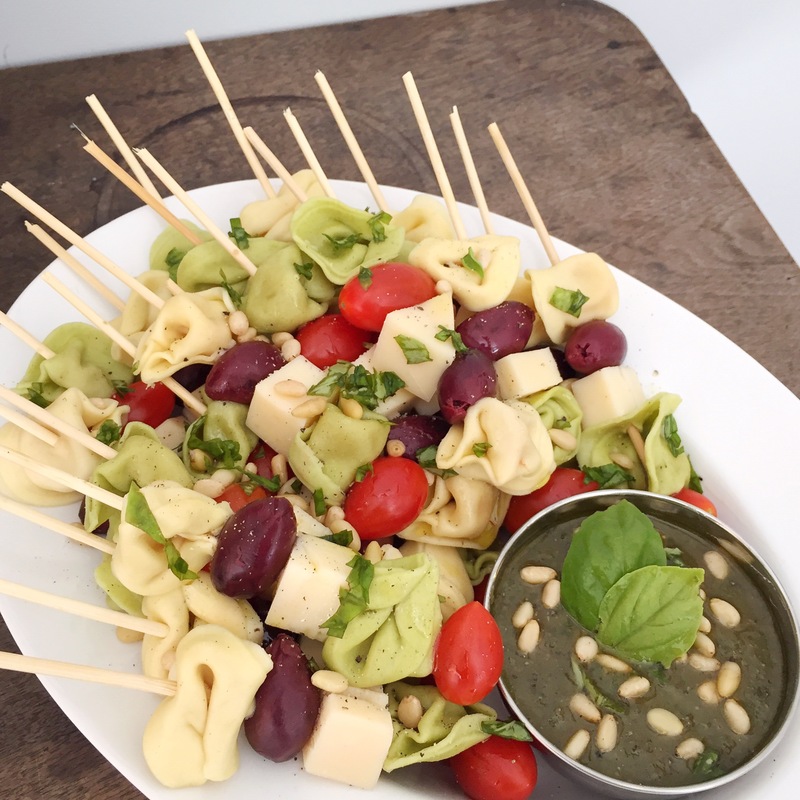 I took the elements of a nice chilled antipasto plate and made them into dippable skewers, laced with some chilled provolone, tortellini, tomatoes and olives. I made my own pesto for the dipping sauce (I just throw in garlic, basil, pine nuts and olive oil and keep adding until the consistency looks right) — try Ina Garten’s recipe if you like to be exact with proportions! They chilled down in the fridge for a bit until they were ready to bring to a friend’s pool party and proved to be the perfect cool snack. 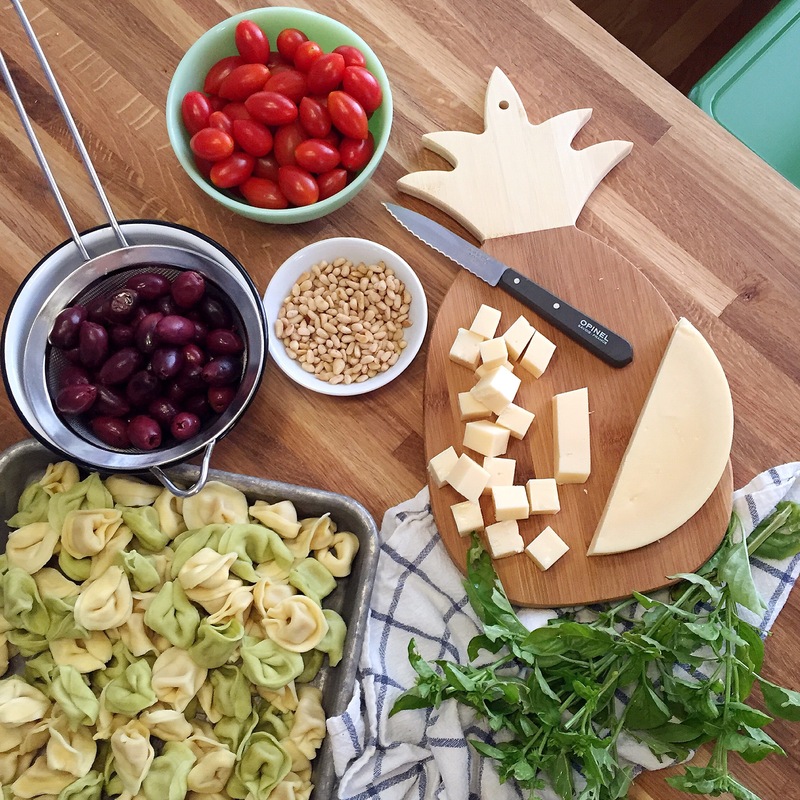 Cook tortellini as directed, drain and cool in the fridge. Portion out olives, tomatoes, and cube provolone cheese. 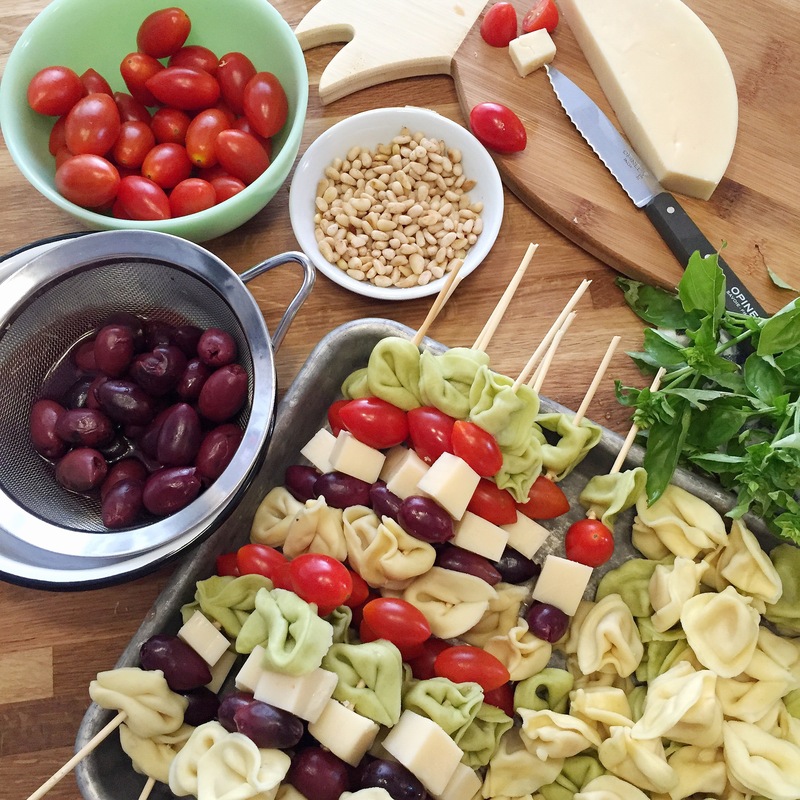 Thread skewers, alternating tortellini, olives, tomatoes, and provolone. 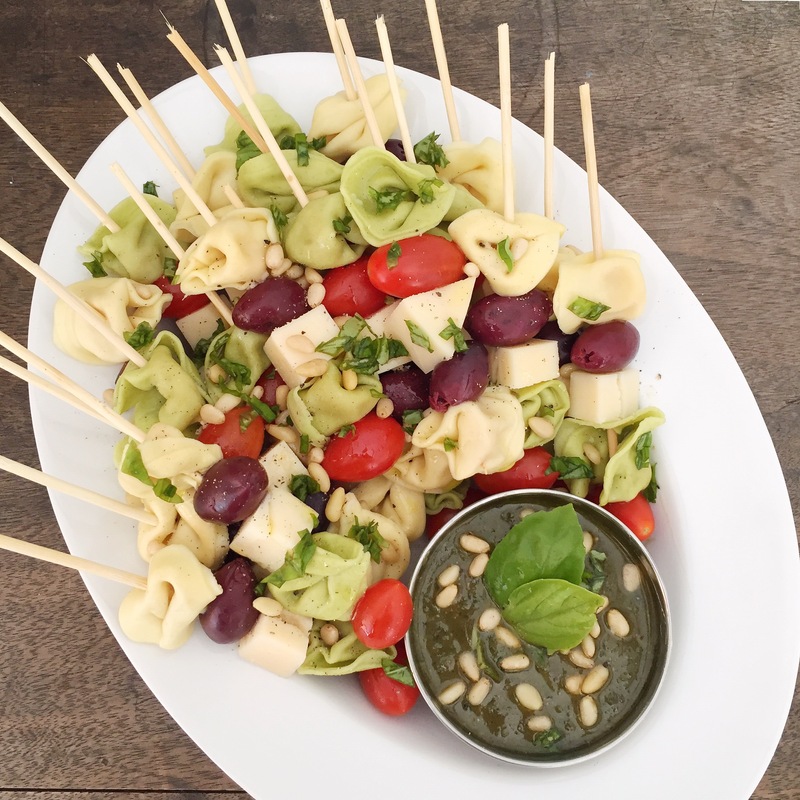 Arrange finished skewers on a plate, drizzle with olive oil, season with salt and pepper. 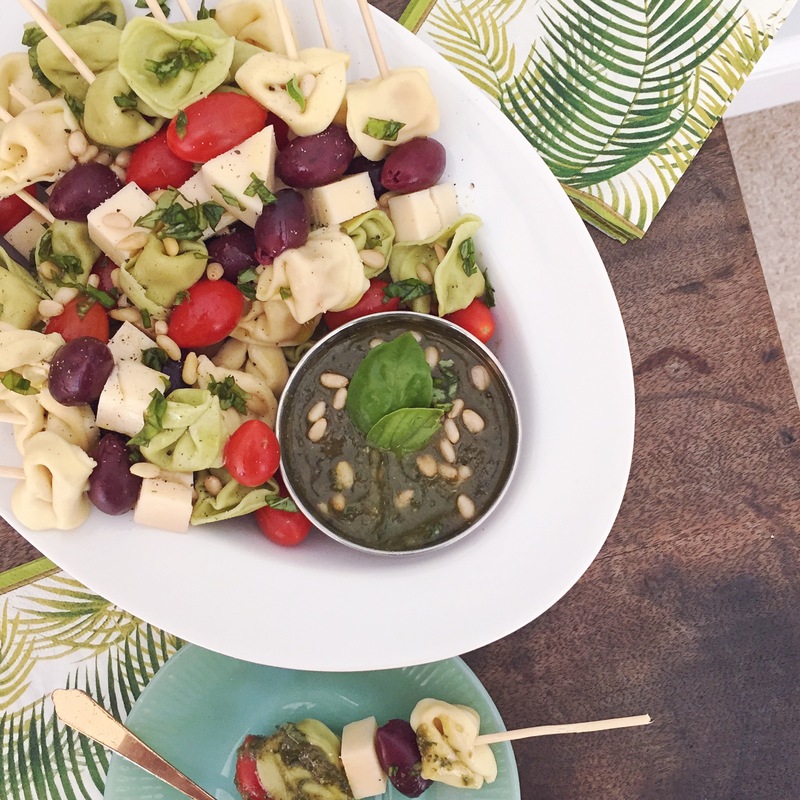 Garnish with toasted pine nuts and fresh chopped basil. 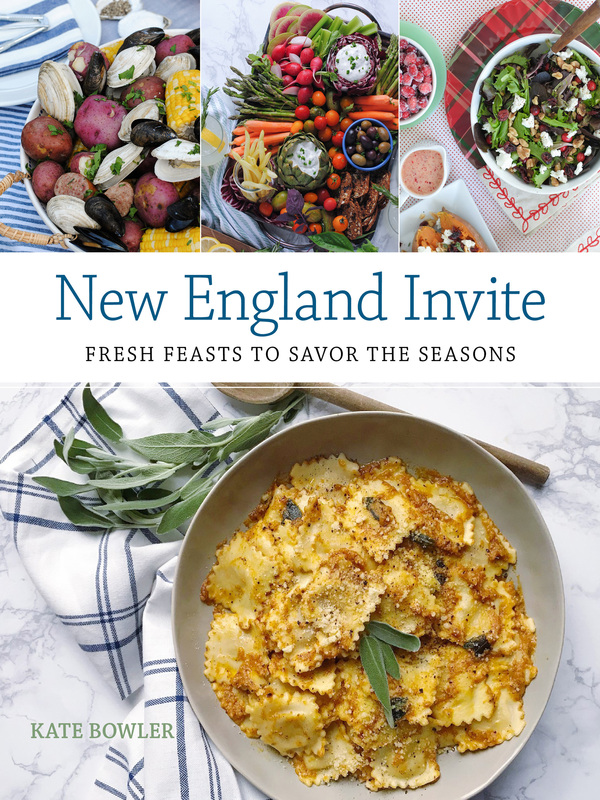 Serve with pest for dipping. Brimfield Guide. Summer Corn Panzanella Salad.